From the London events calendar and seasonal festivities to LondonTown.com's pick of the best venues and special occasions, keep on top of what's happening in London all year round with these comprehensive features and articles. Cate Blanchett comes to the National Theatre in 2019, the Spice Girls reunite and Christian Dior is the Designer of Dreams at the V&A. New musicals are dedicated to Dolly Parton, Pirates and Mary Poppins, Mamma Mia! gets immersive at The O2 and Van Gogh is at Tate Britain. It's all in London in 2019. Indulging on great British traditions such as Sunday roasts and Afternoon Tea, London's restaurant scene serves a feast that fits all palates and occasions. With more people remote working, co-working, freelancing and becoming self-employed than ever, LondonTown highlights the city's best wifi cafes, hotels and hotspots where the wifi is free and your laptop will always be welcome. Get with the swingers: London's newest nightspots offer sport and socialising. Whether you want to play golf in a place that also has a gin palace or enjoy ping pong with your pint, LondonTown has the best places to play social sports. Want to ski without leaving London? Or ride without getting on a horse? LondonTown has the best places to fake it at sport. London comes alive in summer, the heady smell of flowers, barbeques and cut grass fills the air as the city is bathed in warm sunshine. The capital is in full bloom and pavements are crowded with outdoor tables and chairs. While away a sunny afternoon drinking in an atmospheric pub, dine under the stars in an exclusive venue or simply grab a blanket and find a nice grassy spot. Follow the LondonTown.com guide to London's top outdoor tables and picknicking areas. London is one of the film industry's major centres with hundreds of films made each year in the capital. We take a look at the major film events in London - including festivals, screenings, award ceremonies and big movie premieres. 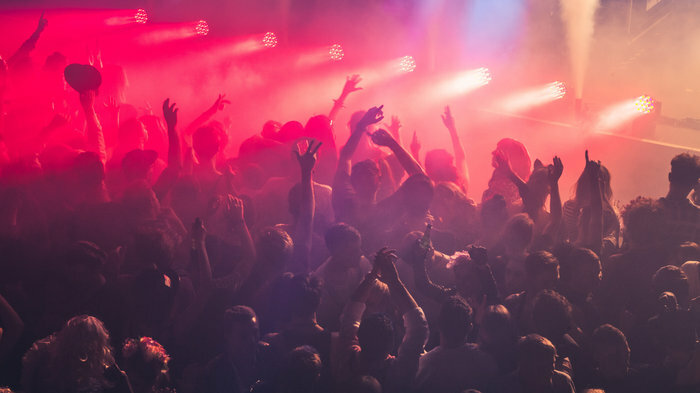 Whether you want to dance the night away or enjoy a quiet drink, watch a live show or make your own entertainment, London is brimming with unique bars, clubs and live music venues that have all the ingredients for a great night out. With a constant programme of West End musicals, renowned theatre and small fringe productions, London is one big stage and continuously sees prestigious actors and directors flocking to be a part of it. So, read on to discover the hottest ticket in town. From the prestigious department stores to the bustling street markets, some of the world's most famous shopping locations can be found in London. London has been used as a setting in many films and books throughout the ages - from Dickens to Dan Brown, James Bond to Harry Potter, The Italian Job to Notting Hill. In this special feature, we look at London's continued influence on popular culture, movies and literature. Numerous sightseeing tours operate across London so you can make the most of this stunning city - whether you want to explore it by foot, on bike or boat, in an open-top bus or even in a privately chauffeured car. Comprehensive commentaries offer colourful historic and anecdotal background to bring alive the amazing sites of London, crammed with stunning architecture, iconic buildings and fascinating museums. London has a generous programme of family friendly events and activities this half term, as well as a great selection of restaurants that cater to little diners. So be sure to avoid the dreaded phrase "I'm bored" and read on to discover how to keep the youngsters entertained during the school break. Some see it as the beginning of Lent, others as an excuse to eat a great big pile of Nutella-coated pancakes. Either way, frying pans are heating up for Pancake Day on Tuesday 5th March 2019. Find out the best places to eat incredible crepes and watch flipping marvellous races on Shrove Tuesday with LondonTown's indispensable guide. Attracting more than 100,000 people to the city, St Patrick's Day in London is a big affair, with a whole host of Irish themed revelling to enjoy. Whether you want to visit the official parade and festival at Trafalgar Square or simply enjoy a pint of Guinness in an Irish pub, London as a lot to offer in celebration of the patron saint of Ireland. 60,000 visitors descend on the city during Frieze week, 4th-7th October 2018. Find out the best art fairs, exhibitions and events in London with LondonTown.com's guide to what's worth seeing. The fright fest of Halloween is upon us, when ghouls, ghosts, witches and warlocks come out to spook the living and the living dress up like the undead. Fake blood, fancy dress and trick-or-treat are traditional but there's plenty going on in the city if you really want to scare yourself silly. October half term coincides with Halloween, plenty of ways to keep the kids busy with pumpkin carving and scary dressing up. We've also gathered the best family friendly events and activities in one place and come up with a great selection of family friendly attractions. From cheap budget hotels to luxury 5 star suites see our deals for hotels, including The Montague on the Gardens from 48% off.